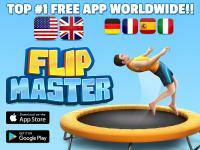 Flip Master has turned into a huge success overnight, while receiving raving reviews worldwide. 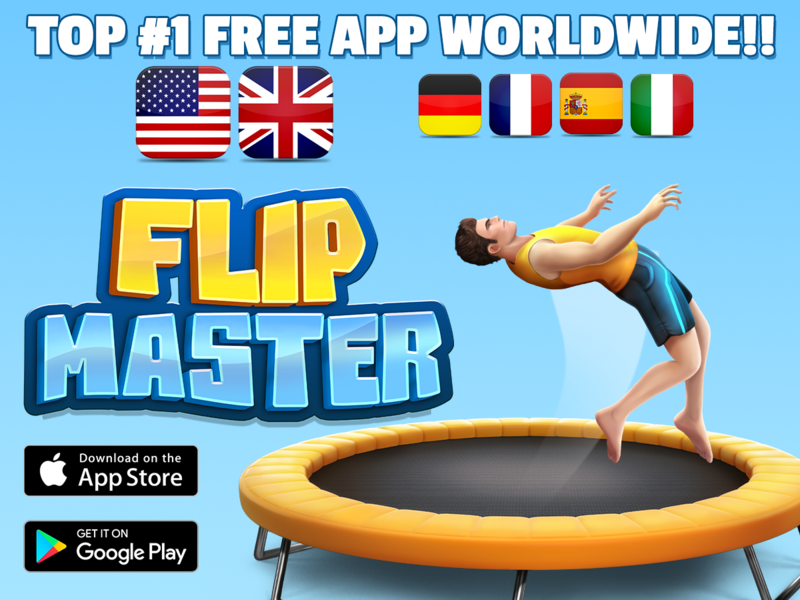 Just after few days from the last thursday’s launch, Flip Master jumped to the number one spot of the free download app charts in United States, United Kingdom and Europe, bypassing numerous famous apps like Facebook, Twitter and Instagram. Developed internally by MotionVolt Games and published by Miniclip, Flip Master is the ultimate trampoline game for mobile devices. In this second game of ‘Flip’ saga, players get to perform more versatile, energetic, and fearless tricks on trampoline than ever seen before.